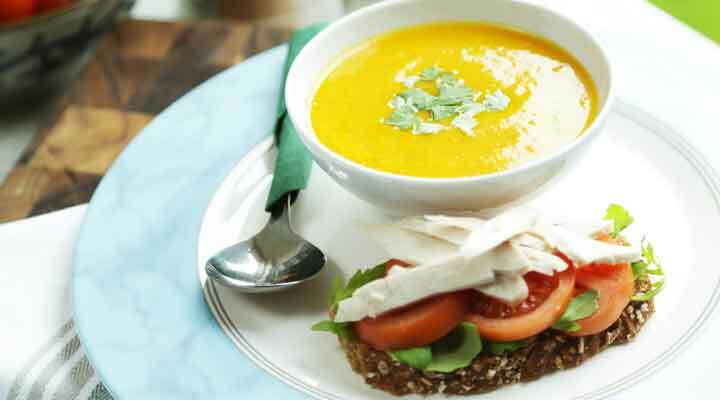 Operation Transformation Recipe - Open Turkey Sandwich served with Carrot and Coriander Soup. Place slice of bread on a plate and spread with mayonnaise. Top with turkey, tomato and lettuce. Serve with 200mls of carrot and coriander soup. Find the soup recipe here.